The footballer Giampiero Combi, who is considered to be one of the best Italian goalkeepers of all time, was born on November 20, 1902 in Turin. 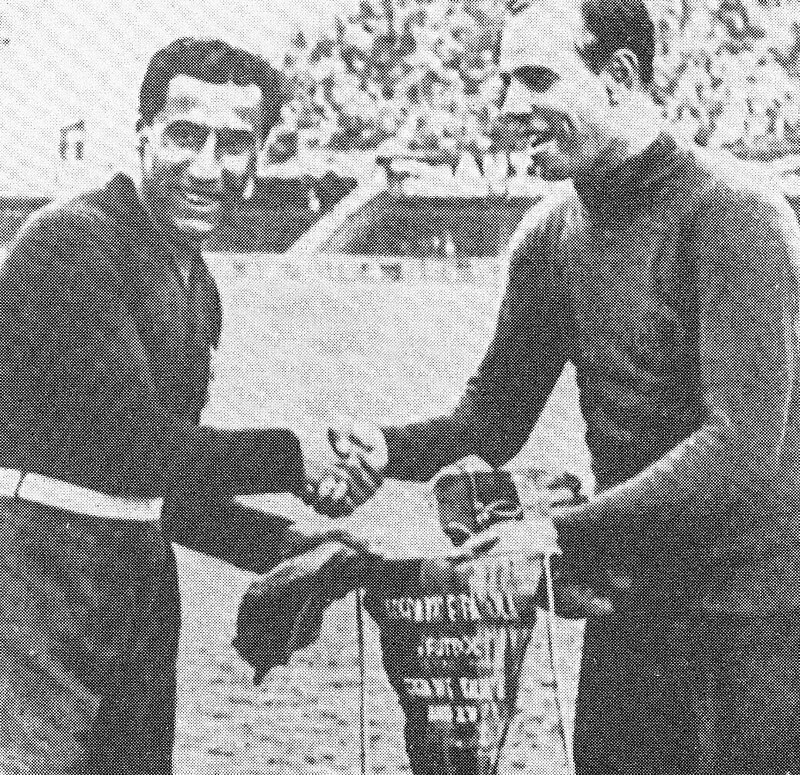 Combi, who spent his entire career with his home-town club Juventus, was Italy’s captain at the 1934 World Cup, which Italy hosted and won, the team coached by Vittorio Pozzo and inspired by the revered Inter Milan striker Giuseppe Meazza defeating Czechoslovakia after extra time in the final of the 16-team tournament. The achievement in front of excited Italian supporters in Rome capped a marvellous career for Combi, although it came about only by chance. He had announced that he would retire at the end of the 1933-34 domestic season at the age of 31, having made 40 appearances for the azzurri. But Pozzo had persuaded him to be part of his squad to provide experienced cover for the emerging young Inter star Carlo Ceresoli. In the event, Ceresoli suffered a broken arm in training a few weeks before the tournament and Combi found himself as the number one. He performed immaculately throughout, conceding only three goals in 510 minutes of football. He played a particularly important role as Italy beat the highly-fancied Austria 1-0 in the semi-final thanks in no small part to saves by Combi that were hailed by the Italian press as “miraculous”. Until Italy’s triumph in Spain in 1982, Combi was the only goalkeeper to have been the captain of a World Cup-winning team, although there are now three goalkeepers with whom he shares that distinction. Dino Zoff wore the armband when the azzurri lifted the trophy in Spain. Since then, Iker Casillas was captain when Spain won in 2010, while the current world champions, France, were led by Hugo Lloris. Combi, Zoff and Gianluigi Buffon, another World Cup winner, are generally regarded as Italy’s three greatest goalkeepers. Coincidentally, all three played the major part of their club careers wearing the black and white stripes of Juventus. As well as helping Italy win the first of their four World Cups, Combi was twice a winner of the Central European International Cup - a predecessor of the modern European championships - and won a bronze medal as a member of the Italy team at the 1928 Olympic Games in Amsterdam. In his time at Juventus, where he earned the nickname Uomo di Gomma - Rubber Man - for his extraordinary agility, Combi was a Serie A champion five times between 1926 and 1934. The combination of Combi and the full backs Virginio Rosetta and Umberto Caligaris formed a formidable defensive partnership for both Juventus and the Italian national team. Combi’s 370 appearances for the Turin club over 13 seasons was the most by a goalkeeper for the club until Zoff (476) overtook him in the 1970s with Buffon eclipsing even Zoff with 656 appearances between 2001 and 2018. Another record held by Combi for many years was his feat of playing for 934 consecutive minutes during the 1925-26 season without conceding a goal. It stood for an incredible 90 years before it was bettered by Buffon, who went unbeaten for 974 minutes during the 2015–16 Serie A season. Ironically, Combi could have spent his career with Turin’s other club - Torino - but after a trial match they let him go on the grounds that he lacked the strength and athleticism to be a successful footballer. Juventus, however, saw him as a good prospect and he joined their youth team. He was given his first-team debut in 1922 in circumstances that were similar to his recall to the national side at the World Cup in 1934, asked to step up after the regular Juventus goalkeeper, Emilio Barucco, was injured. Combi soon became first choice for the bianconeri and was selected for the Italy national team for the first time in 1924, although his azzurri debut did not go as he had hoped, Italy losing 7-1 to the brilliant Hungary. He later claimed that the match was one of the most important of his career, making him resolve to work harder at his game. 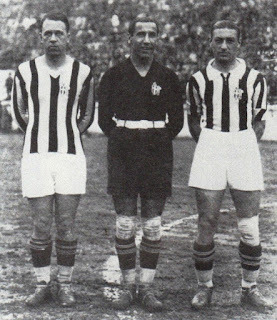 After he finally did retire in 1935, Combi worked for Juventus and for the national federation in various roles as well as developing a career in industry. He died at the age of just 53 in August 1956 after suffering a heart attack at the wheel of his car. In his memory, Juventus named the first team's training ground after him and created a Giampiero Combi award for excellence among their youth players. The Merano Littorio sports ground, purpose built as a base for the the Italian national team during the 1934 World Cup, was also renamed in his honour. The Turin football team trains at a state-of-the-art complex at Vinovo, a town situated about 14 km (9 miles) southwest of the city centre. 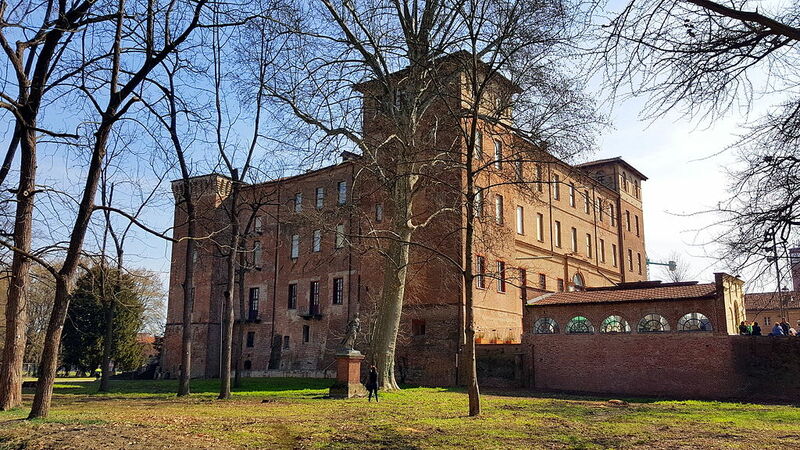 Vinovo, which has a population of just under 15,000, is notable for being the home of the Castello Della Rovere, which was built at the end of the 15th century by Cardinal Domenico della Rovere and represents a rare example of Renaissance architecture in Piedmont. In the 18th century the castle became the headquarters of the Royal Porcelain Manufactory, and as such became the core of the community as a major employer, the town growing in terms of size and amenities as a result. Nowadays, the castle hosts the campus of St. John International University, a private American university, surrounded by a vast park featuring an artificial lake. 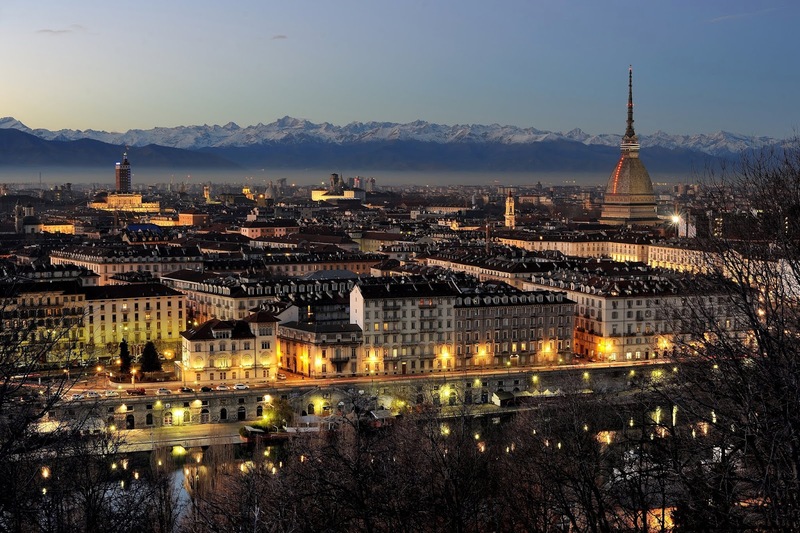 Turin was once the capital of Italy, yet tends to be overshadowed by other cities such as Rome, Florence, Milan and Venice when it comes to attracting tourists. is best known for its royal palaces Yet there is much to like about a stay in elegant Turin, from its many historic cafés to 12 miles of arcaded streets and some of the finest restaurants in Piedmont, not to mention the beautiful royal palaces that echo the city’s past as the seat of the once dominant House of Savoy. 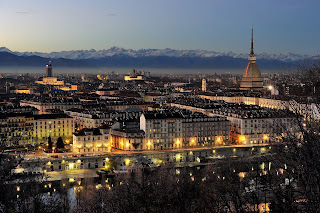 Yet because visitors do not flock to Turin in such large numbers prices tend to be a little lower than in the better known tourist cities.